Although Major League Soccer (MLS) has grown in leaps and bounds, it is Premier League soccer (PLS) betting which takes the popularity cup in America. Americans love to bet on the English Premier League. 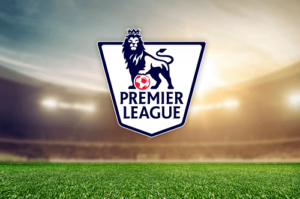 In our PLS betting guide, we have listed top sites where you can bet on all the Premier League Soccer action. Included in the guide are EPL odds, betting tips, and bet types. The different types or categories of bets in premier league betting are referred to as markets. The most popular English Premier League betting markets are outright winners, relegation odds, top goal scorer, top four, and top London club. Let’s take a look at them below. Winner odds – The outright winner odds market is one of the most popular bets. Players have to keep up with the action all season long. It’s likely popular because of its simplicity, all you have to do is pick the winner of the whole season. Relegation odds – This is the petty but fun side of premier league betting. PLS relegation odds are an exciting market because it is dynamic and constantly changes as the season progresses into its final weeks. Top Goal Scorer Betting odds – for this odds market, you need to be up to date with the stats of your favorite players. Knowing their statistical previous performance will give you a better lead if you’re betting on the top goal Scorer. If you think you can predict who will the top strikers this season then you can bet each-way on this market. Sportsbooks have been known to pay out for the top four places. Top Four Odds –you can wager on a team being in the top four. There are odds markets for gamblers to wager on whether a team will finish in the top six and top ten. Top London Club Betting odds – players can bet on which London club will finish top of all London soccer clubs. There are also odds markets for other regions. Take advantage of sportsbook promotions such as enhanced odds offers, money back specials, and lowered wager amounts for both teams scoring odds. Most sportsbooks will have specialised offers for Premier League betting because it’s such a popular sport. Players can get wager offers like money back if a penalty is awarded in a game. Now, if you know one of the players in the team has a propensity to commit fouls and other un-sportsman like behaviour then the likelihood of a penalty is high. Sometimes there will be special offers on a goal scorer bet another team losing.